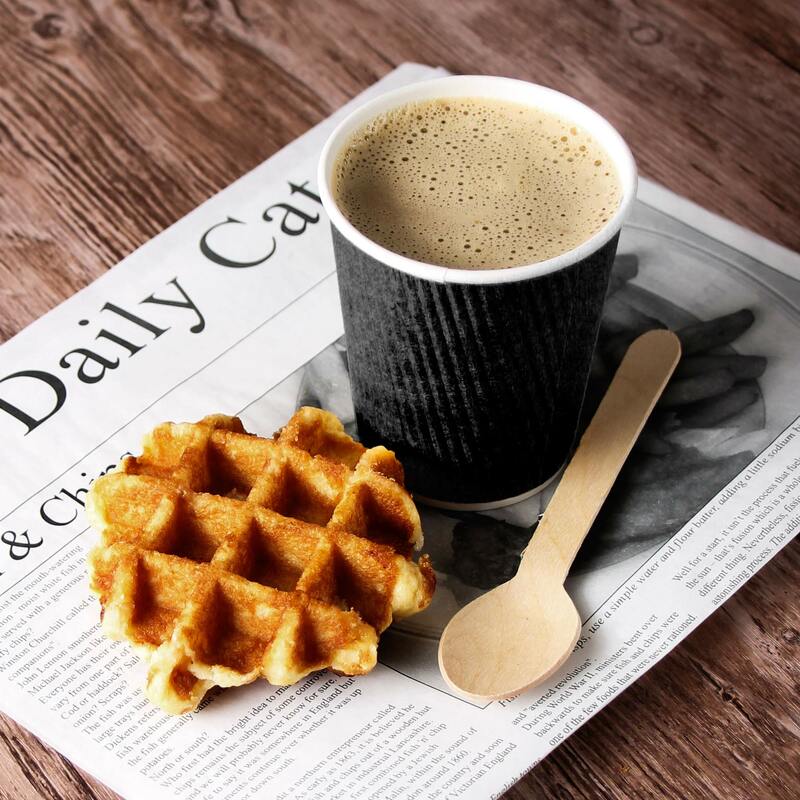 With a black colouring these Kraft Black Ripple Disposable Paper Coffee Cups are a stylish way to serve take away teas, coffee or hot chocolate. 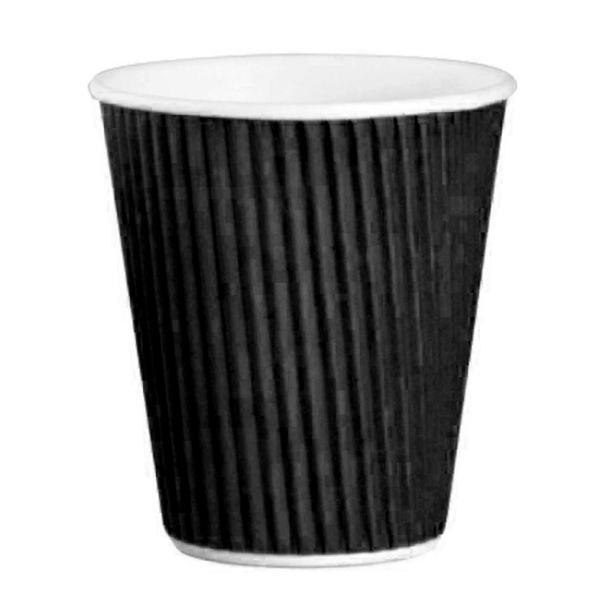 Triple walled for extra insulation and protection against heat transfer these kraft ripple cups don't require an additional clutch sleeve. Fully disposable these takeaway cups are the perfect choice for street food vendors and cafés.